Ranges from lush pinkish-purple to intense purple. Additionally found in yellow and brownish hues. Its an opaque stone. Cyclosilicate, gets its color from traces of Manganese. Discovered in Japan by the petrologist Ken-ichi Sugi in 1944. 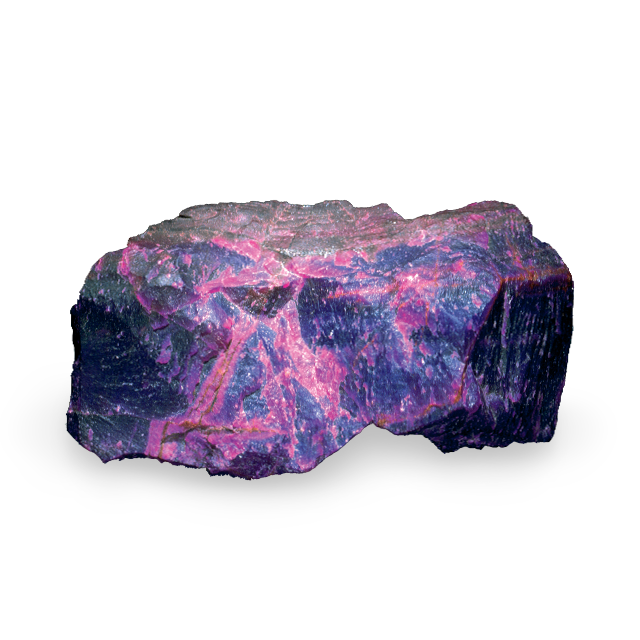 Typically formed in masses underground, sugilite can sometimes be fashioned into large gemstones. The intense purple variety is prized for its beauty and is most often cut to show off this rich, violet color. Sometimes heat-treated to improve color and stabilize for jewelry setting. Clean by rinsing in warm water and drying with a soft cloth. Ultrasonic and steam cleaners as well as chemicals should be avoided.